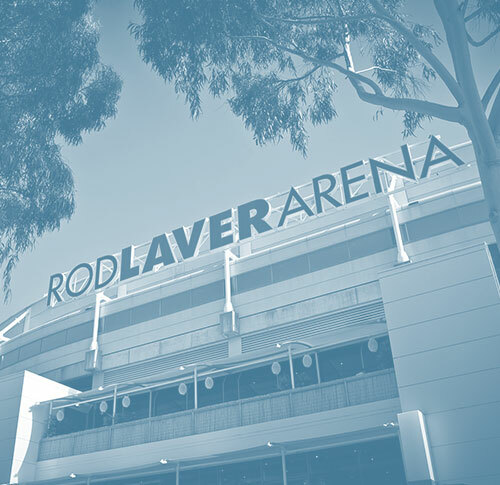 Robert Bird Group were selected with Cox Architects to design the redevelopment of the prestigious Rod Laver Arena in Melbourne, Australia. Robert Bird Group Adelaide office is delivering the Structural Design of this iconic project with our Melbourne office providing Civil Design. 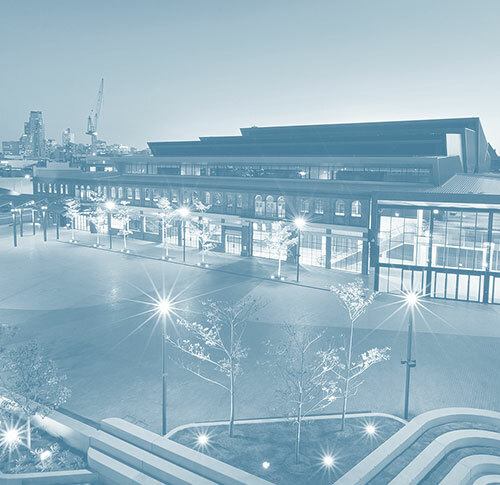 The $166 million refurbishment forms part of the Stage 2 works to upgrade the Melbourne Park precinct and secure its place as a world class sporting destination. Key features of the design include a new east-facing annex building expanded public concourse areas. Upgrades to the seating bowl and roof for improved functionality for events, as well as a new south and north annex building for improved patron facilities. In addition, the design includes a review and upgrade of the existing arena for earthquake resistance. The project will extend over four years, with construction commenced in 2016 with completion in 2018/2019. 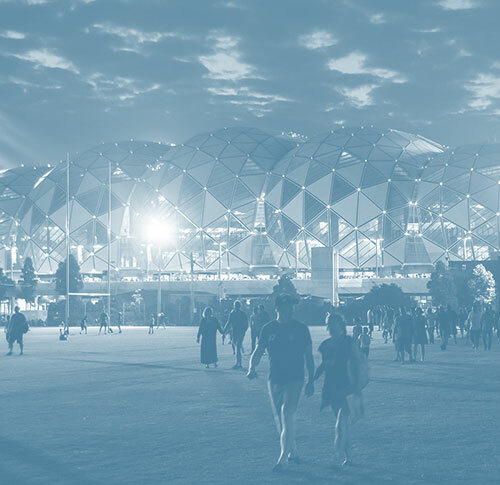 The Rod Laver Arena Redevelopment project brief is focussed on bringing this constantly used sports and concert facility to modern standards for concerts and shows and for spectators and participants therefore maximising revenue opportunities. 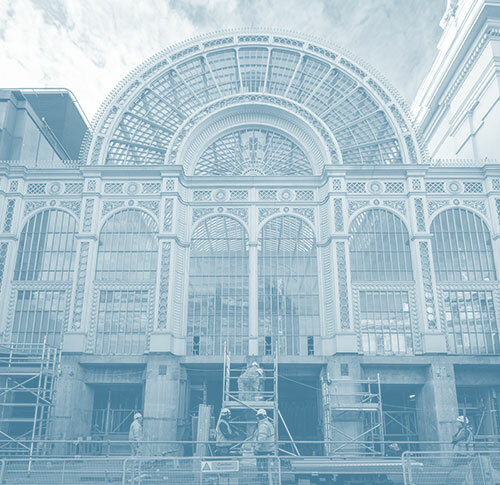 Key to the success of the redevelopment is to allow continued operation of the arena, one of the worlds most used facilities, whilst construction works proceed. 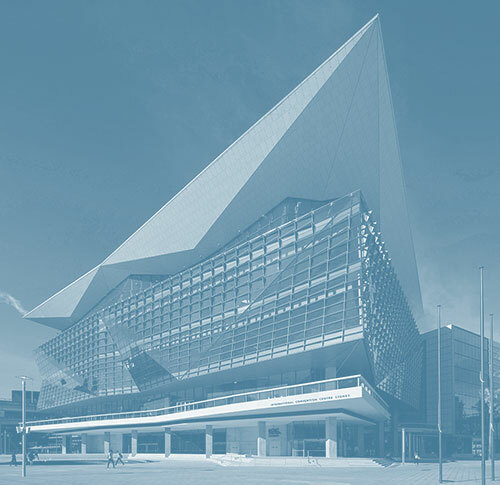 A significant structural enhancement both to the earthquake resistance of the building and to the capacity of the roof for carrying rigging loads associated with modern shows as being achieved with relatively minimal intervention of the existing structure. Unlike th requirements when it was originally designe the current day design codes call for lateral resistance 60 times the original value. Robert Bird Group in conjunction with Cox Architecture has designed steel earthquake frames that cradle the existing cores to provide the vastly enhanced lateral strength with steel members capable of being threaded through the existing slabs and beams. RBG established that the existing roof did not have the capacity for the higher rigging loads sought by the client and so developed a design that used a new rigging truss spanning 90m across the arena that could be integrated with the existing structure to provide the permanent increase in strength required for the brief requirements. Using the skills developed through RBG’s erection engineering; a sophisticated staged erection analysis was carried out as part of the detailed design to fully inform the construction process, providing step by step data to allow monitoring and control of the jacking necessary between new and existing structures and maintain functionality for the arena during construction. RBG has applied its extensive experience of such jacking processes, used ion projects such as Midfield Terminal Abu Dhabi, Adelaide Oval and SICEEP to actively inform the development of construction methodologies through workshops with the subcontractors.